As many of us know, unhealthy Jesus’ adolescent self barely appears in the Bible. The story of Jesus’ birth in Bethlehem is detailed. So too are his later teachings as a preacher, patient a leader and a healer. But there are scant stories about Jesus’ youth and upbringing. It leads one to wonder what Jesus was like as a young boy and if his future greatness was foreshadowed during those youthful days. 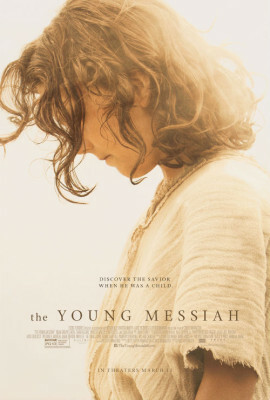 Based on the novel by Anne Rice, the new film The Young Messiah attempts to explore that idea. The opening text reads “inspired by Scripture and rooted in history, this story imagines a year in the boyhood of Jesus.” Within its first moments, the young and captivating actor Adam Greaves-Neal appears as the title character. Jesus is depicted here as a kind-hearted seven-year-old boy who is surrounded by mysterious forces but who has yet to learn of his own destiny. When the story opens, he’s spending time with a friend when a bully chastises him. After Jesus attempts to protect his friend, he’s accused of a horrendous crime and forced into hiding. It’s then that he performs a miracle — bringing a deceased boy back to life without knowing how or why he has the power to do that. Jesus’ family — especially his mother Mary (Sara Lazzaro) and his father Joseph (Vincent Walsh) — know that Jesus is the Messiah but they also know that he is their son: a boy who needs their protection and care. Screenwriters Betsy Giffen Nowrasteh and Cyrus Nowrasteh — a married couple who previously adapted The Stoning of Soraya M. for the big screen — bring Rice’s novel to powerful life here. In many ways, The Young Messiah plays out like a superhero origin story but instead of a young man discovering his supernatural powers, it’s about a young savior discovering his God-given abilities. 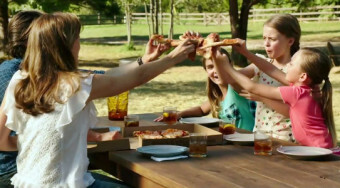 Unlike superhero movies, the film has few special effects but what it does offer is an undeniable compassion and appreciation for Jesus’ family: a group that was faced with tremendously profound obstacles. If you read the Bible, it’s easy to understand the story of Mary and Joseph but this film offers a nuanced understanding of their plight. These are parents who know that their son is special but they also recognize their responsibilities as parents to protect him. Some of the most interesting questions raised here are by these parents. “How can we explain God to his own son,” Joseph asks poignantly. The plot follows the family as they attempt to return to Jerusalem after Herod (the leader who had executed his citizen’s children to vanquish the Christ’s threat to his power) has passed away. At the same time that the family struggles with their own complications, they are being pursued by a Centurion (Sean Bean), who has orders to kill Jesus. Additionally, a mysterious Devil-like being (a well-chosen Rory Keenan) causes trouble on the sidelines– through whispers and deceit– as he attempts to slow down the “angel boy” who is healing the sick and protecting the weak on a daily basis. 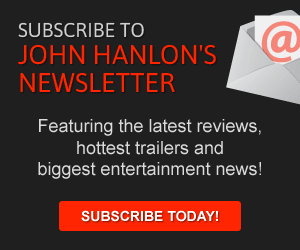 The director and crew of this film deserve great credit for bringing this nontraditional story to the big screen and doing it in a gentle and meticulous way. Although much of the plot doesn’t have a basis in the Bible, the story itself powerfully foreshadows Jesus’ work to come without becoming preachy or overwhelming. There are stories here that were inspired by Biblical events while there are others that simply foreshadow what is to come in Jesus’ adult life. At times, I did wish that the Centurion’s story had become a more nuanced part of the story but at the end of the story, it becomes obvious that his character is only a very minor figure here. The story is really about the young messiah and how this young man might’ve been forced to come to terms with his own destiny even when he was just a boy. 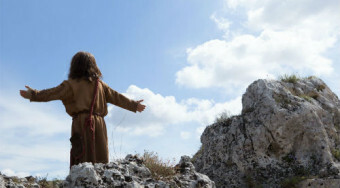 In the film’s most delicate sequences– Jesus’ chat with a blind rabbi and a later talk with his mother– the movie beautifully succeeds in its mission to imagine the messiah’s youth with a gentle story and a compassionate heart.